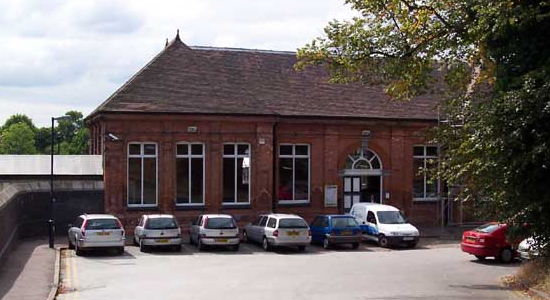 The only survivor of three stations that once served the centre of Sutton Coldfield, this station was opened by the LNWR in 1862 and later became part of the LMS. 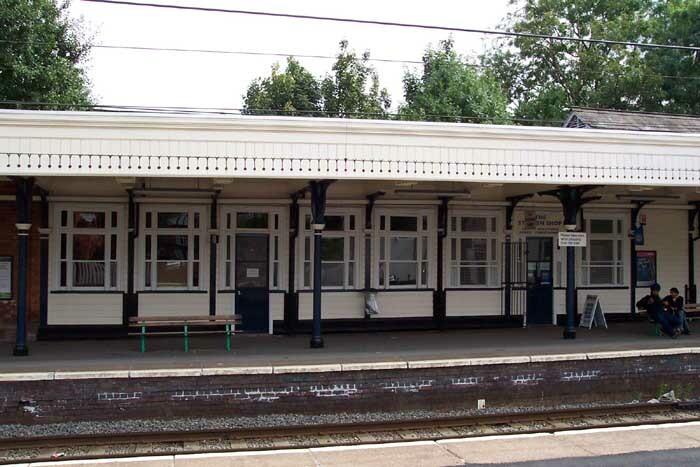 The station building itself has retained some character and its interior is heavily reliant on wooden construction and painted in a colour scheme of navy blue and white which gives it a somewhat unique feel on the Centro-maintained cross-city line. 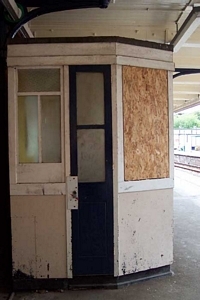 It has survived the penchant of the 1970/1980s for sweeping away traditional station buildings in favour of odd-shaped 'box-like' structures (see Kings Norton, Northfield etc . . . ) and, apart from the loss of some buildings and the goods sidings - which are now a car park - retains many original features. 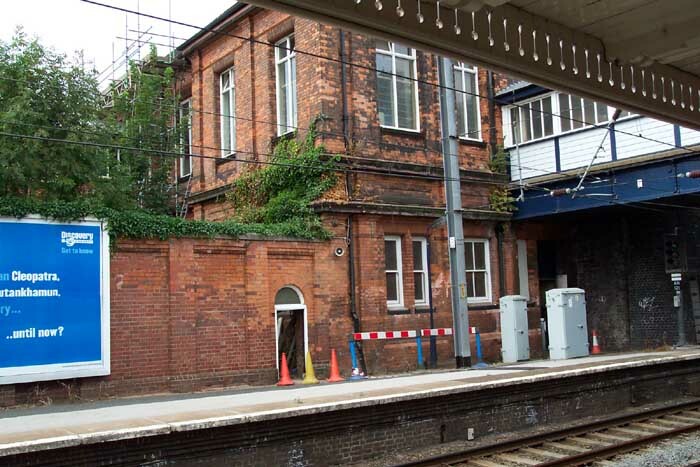 Above we see the entrance to Sutton Coldfield Station from Railway Road, August 2003. 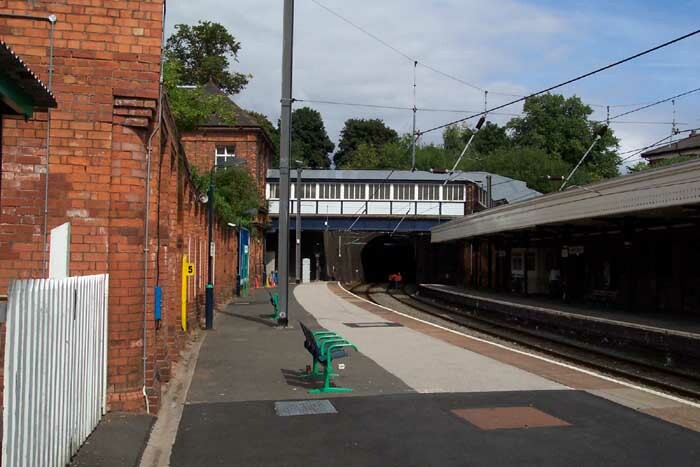 Above-left we are on the Birmingham platform looking across at the station building - the enclosed footbridge can be seen extending from the building top-right. Above- right we are on the Lichfield platform looking across at the facilities on the Birmingham platform - waiting rooms and a platform shop (a rarity these days). Above-left we are on the Lichfield platform watching the lines curve away towards Wylde Green Station. 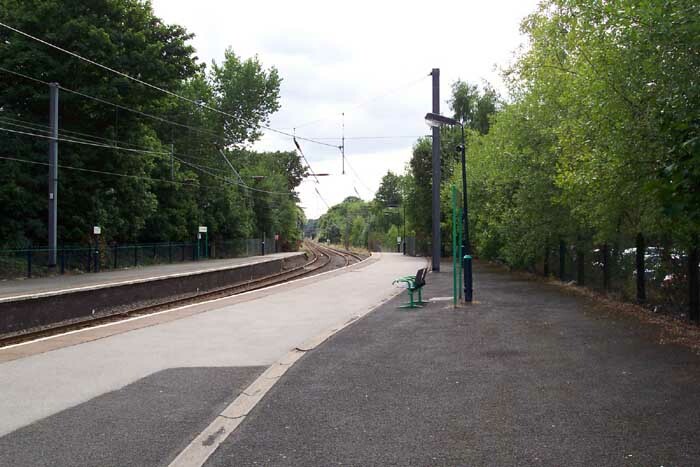 Above-right we are in the same spot but this time looking back towards the station building and the entrance to the tunnel which takes the line under the centre of Sutton Coldfield: the goods sidings were to the left of this spot. 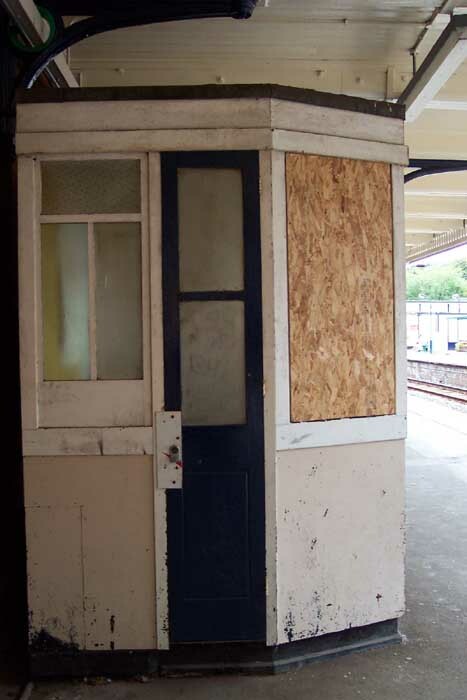 A curiosity of a bygone era: a long disused platform ticket booth on the Birmingham platform.